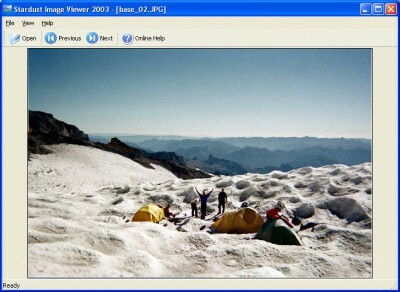 Stardust Image Viewer 2003 1.0.0.3 free download. Stardust Image Viewer 2003 lets you easily step through images in a directory. Stardust Image Viewer 2003 lets you easily step through images in a directory. 16 image types including JPEG-2000 are supported, and you can set all images to the same zoom level, or all images to fit the window. Won't interfere with other image viewing software; easy install/ uninstall. Stardust Wallpaper Control 2003 is a free taskbar accessory that lets you easily change and configure your desktop wallpaper. Image Eye is a quite specialized image viewer - specialized i. The Viewing Booth is a free and useful low cost image editor which will let you manipulate saved images to fix blemishes or other discrepancies in the image.